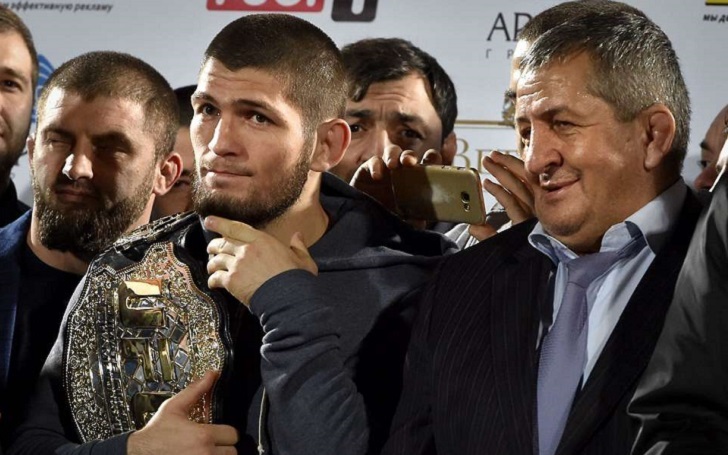 Khabib Nurmagomedov's father Abdulmanap revealed that he has been offered a huge amount for the Khabib-Conor rematch. Khabib defeated Conor McGregor at UFC 229 for the lightweight title. The two lightweights have since been suspended for the aftermatch action by Nevada Athletic Commission. The event went on to become the biggest in the UFC history with 2.4 million PPV sales. A rematch would definitely suppress the previous record. However, the division is kept on hold as both fighters are under investigation. However, the UFC representatives have already offered Khabib an offer for the rematch, his father told Sport 24’s Yaroslav Stepanov. Khabib and his father, both seem to be interested in a rematch. However, Khabib thinks Tony Ferguson and Dustin Poirier deserve the opportunity first. Abdulmanap also talked about his son's decision to end his career that surfaced ahead of the UFC 229. At the end, he talked about the ongoing issue with NSAC and anticipated that Khabib might be fined $500,000 and could be suspended for the next nine months.